Generally when injuries happen in NFL practices, teams will simply move to another part of the field and keep working. But when safety Jonathan Cyprien went down with a torn ACL this week, the Titans took a break. 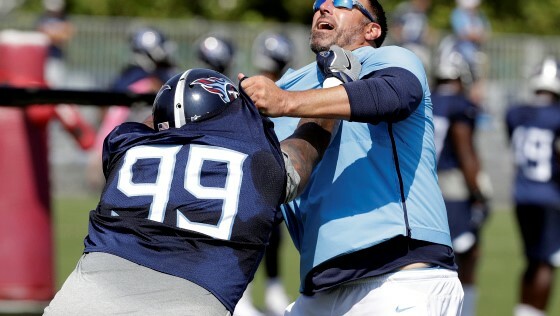 According to Paul Kuharsky of PaulKuharsky.com, Titans coach Mike Vrabel said wanted to respectthe fact that a key part of the team had just been injured, so he told his coordinators to gather players on the sidelines while athletic trainers tended to the veteran safety. That made an impression on his players. “It just shows you how he feels about Cyp, it just shows you how well respected Cyp is, how irreplaceable Cyp is as a human and a player on this team,” Logan Ryan said of Vrabel’s response. “He brings a lot of energy, a physical attitude. He definitely was the hammer in our secondary. We’ll keep it moving, it’s next man mentality. The fact Vrabel’s just 42 years old and has 14 years of NFL experience gives him an automatic in with players. But the fact he recognizes they are actual human beings rather than replaceable parts could pay dividends for him down the road, as he builds relationships in his first year as a head coach.